The 2018 INFINITI is a small luxury vehicle offering a stylish interior and a vast array of amenities and safety features. Available trim levels include the INFINITI Q60 2.0t Pure, 2.0t Luxe, 3.0t Luxe, 3.0t Sport and Red Sport 400. The 2.0t trim levels are powered by a 2.0 liter four-cylinder engine with an output of 208 hp while the 3.0t models come equipped with a 3.0 liter V6 engine with an output of 300 hp. Buyers who want the most powerful trim level may want to opt for the Red Sport 400 which comes with a V6 engine and an output of 400 hp. Standard seating features include leatherette appointed and power adjustable seats. Optional seating features include leather and temperature controlled seats. Standard interior features include two usb ports, a rearview camera, bluetooth connectivity, push button start, a stereo system with six speakers and dual-zone automatic climate control. Optional available features include a stereo system with 13 speakers, adaptive cruise control, two USB ports and a rearview camera. Cargo space stands at 8.7 cubic feet. 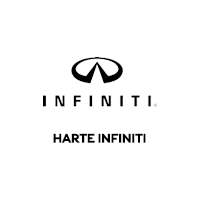 View our stock of 2018 INFINITI Q60 in Hartford, CT below.